I love math manipulatives! What Primary teacher doesn't!?! 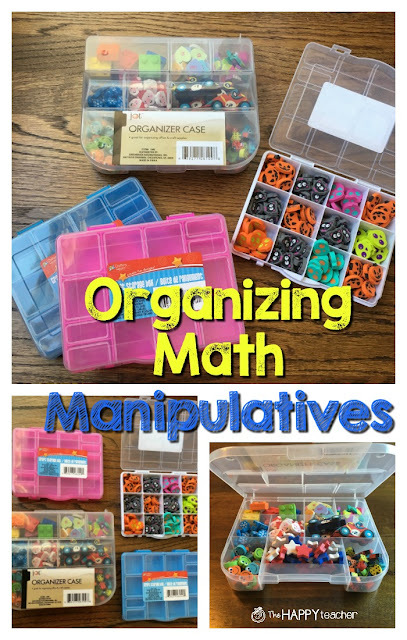 I especially love using mini erasers or seasonal goodies as math manipulatives. 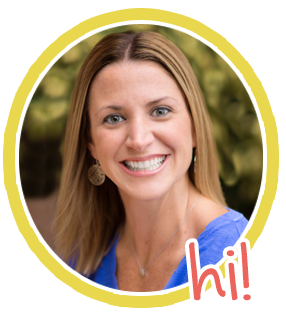 However, organization and storage really becomes an issue when you are scouring and shopping the Target Dollar Spot every chance you get. I was at the Dollar Tree the other day buying wrapping paper for some upcoming birthday parties, (Side note: They have the best wrapping paper. Super cute and way cheaper than anywhere else!) 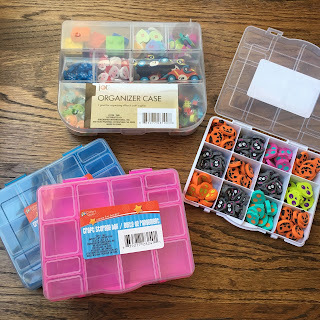 when I stumbled across these plastic organizers. I found multiple colors and sizes. I knew immediately they would be perfect for storing math manipulatives and game board pieces. Just for reference... the larger container is about 7.5" wide by 6.5 tall. The smaller container is 6.5" wide by 5" tall. 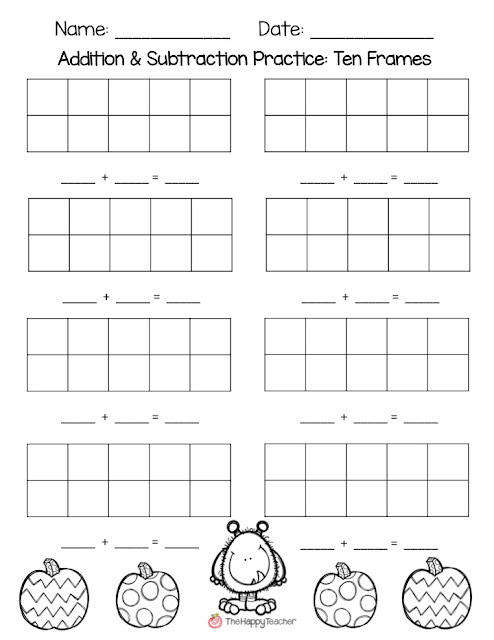 These would be perfect to use in math stations, small groups, tutoring, or for independent work. 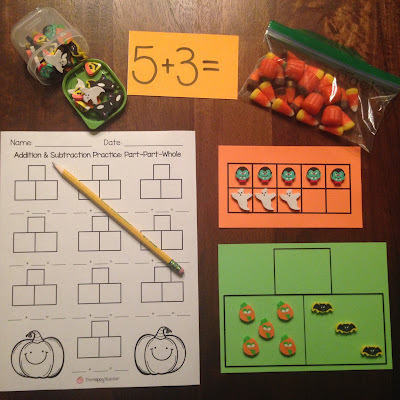 Check out my Halloween/Fall Addition & Subtraction FREEBIES. 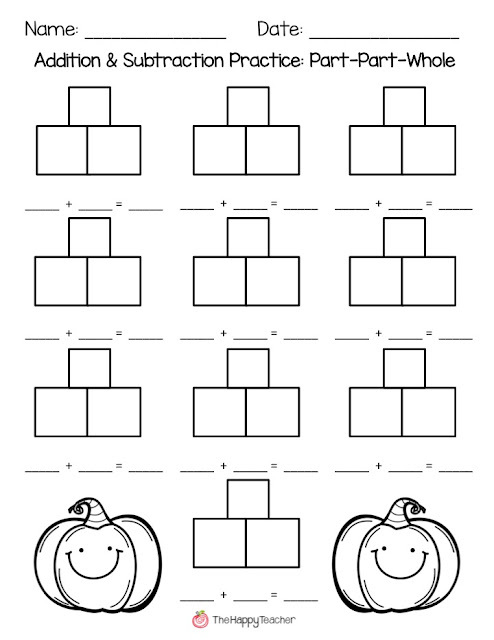 This FREEBIE includes printables to help students practice addition and subtraction during September & October. Ten Frames & Part Part Whole are great strategies for ensuring students have a conceptual understanding of basic math facts.